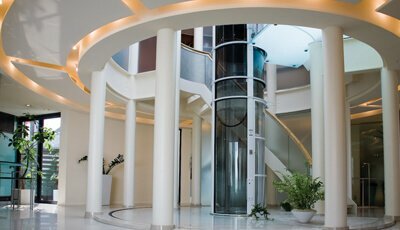 This remarkable elevator boasts a truly unique shape, clear acrylic panels, and a smooth drive. This is just as much a showpiece as it is functional. 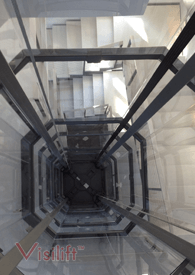 The Visilift™ Octagonal is designed like no other elevator. The shape is not only original, it provides optimal cab space for the footprint while maintaining unobstructed 360 degree views. 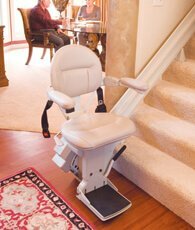 The cable driven system quietly and smoothly lifts up to 744 lb. 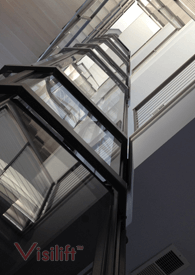 The Visilift™ Octagonal can be installed in applications up to 5 stops and vertical distance of 50 feet. The 11.9 square foot cab accommodates wheelchairs and moderately sized scooters. 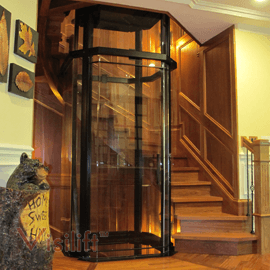 The clear acrylic panels that encompass the Visilift™ Octagonal offer a 360 degree view of your home. 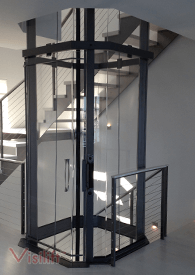 The stylish octagonal shape is unlike any other elevator and fits in a practical 48” x 48” footprint. 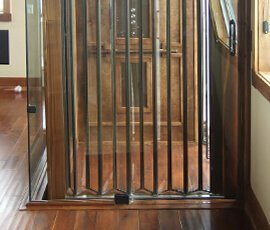 This elevator requires no machine room or hoistway, making it easy to add to your home. 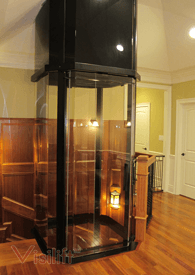 The Visilift™ Octagonal comes standard with battery backup for lighting and lowering. The standard color for the frame is black, but you can order this in custom colors to match your home. 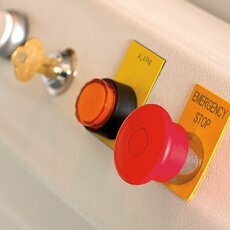 The floor in the cab is carpeted by default, but you can customize by adding your own flooring. You can download the entire section in PDF format or you can view individual sections in PDF format online. 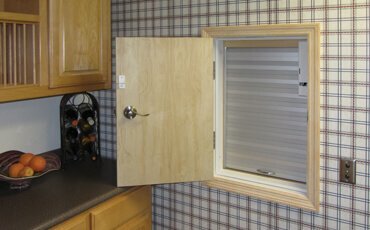 The links will open in a new window. 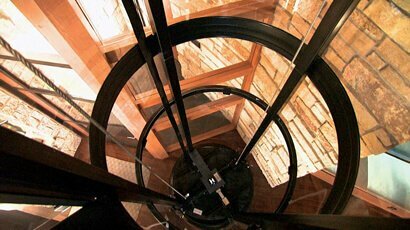 Standard cab platform of 42" diameter or 11.91 Sq. Ft. The Visilift™ Octagonal comes in a standard black finish. Custom colors are available. Click here to download a PDF version of the custom colors that are available. 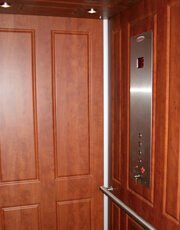 Nationwide Lifts can help you get the financing you need to make your elevator purchase affordable.